CANNES, ALPS MARITIMES/FRANCE - APRIL 28, 2015: Zoom out from Rue Meynadier sign in Old Town. 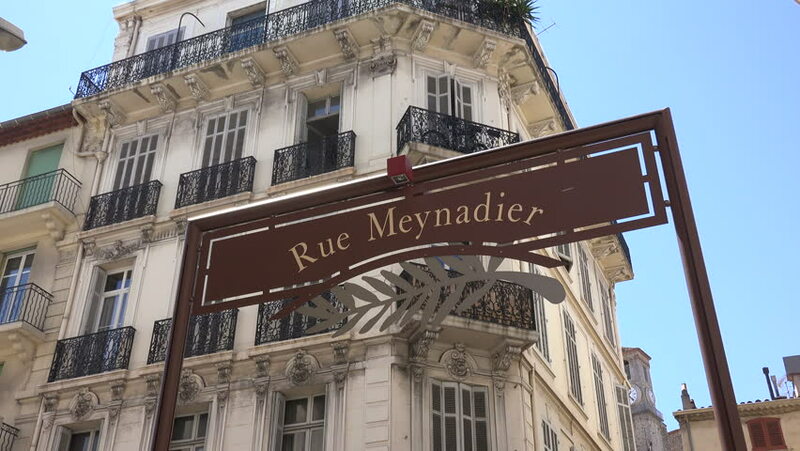 Rue Meynadier is a pedestrian shopping street leading to Le Suquet area of old town. hd00:07MOSCOW, RUSSIA. 04 JAN 2014: BURTON snowboard park in Gorky Park. hd00:09Park City, Utah -- January, 2014: Egyptian Theater sign during the Sundance Film Festival. hd00:25Pedestrian Crossing - LOOK RIGHT. Motion-blurred traffic going over a UK pedestrian crossing with a big LOOK RIGHT sign. 4k00:10NEW YORK - CIRCA 2015 A subway approaches the platform at Grand Central Station.